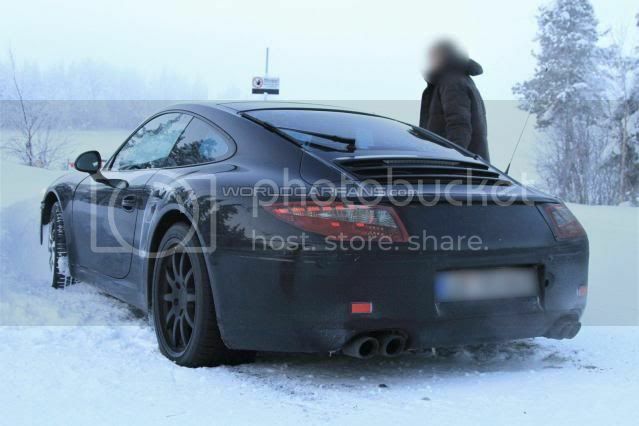 Our spy photographers have caught up with the next-generation Porsche 911, flexing its muscles in the Swedish countryside. 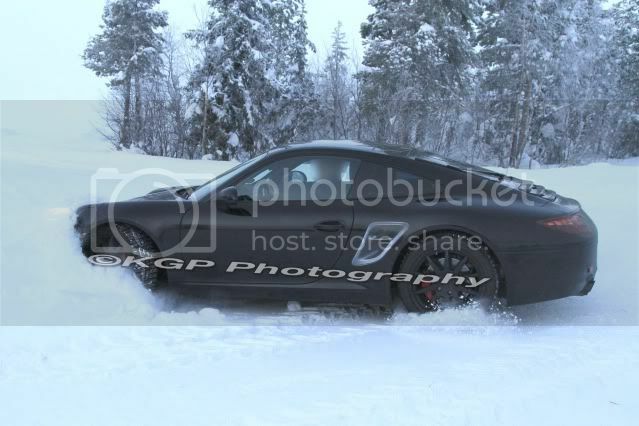 While the winter testing regime is tough, one Porsche engineer took it to another level. 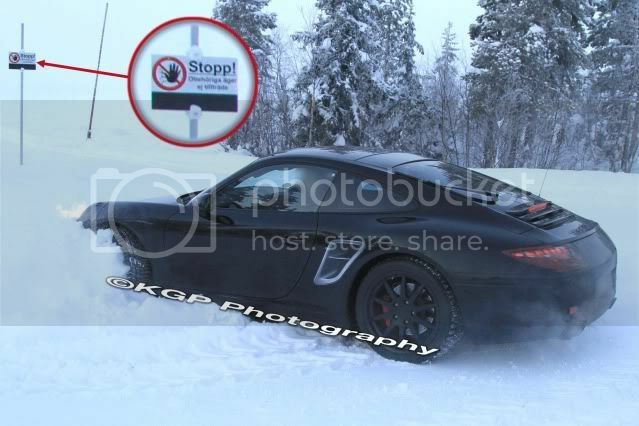 While driving towards an ice track, the driver lost control and ploughed the 911 prototype one metre into a snowbank. Good news is that no one was injured; the bad news (from an engineer’s point of view) is that spies got up-close and personal with the vehicle. A few little things have caught our eye; firstly the side vent look fake and may be a sticker, and secondly, the rear lights have the disguised with a set of faux tail-lights. The production model will feature glitzy LED’s. The 911 will now measure at 4.49 metres long (56mm longer with 10mm going to the wheelbase) and 11mm shorter. It’ll also be 20kg lighter than the outgoing model, with 19” alloy wheels expected to be standard. The entry-level 911 will be powered by a 3.4 litre Boxer engine, developing 345bhp (350PS/257kW) with a top speed of 180mph (289km/h). The Carrera S will be using a revised 3.8 litre that pushes power to 395bhp (400PS/294kW). Top speed is also increased to 188mph (302km/h). The new 911 will be revealed later at the Frankfurt motor show.